More scholarship suggests playing violent video games makes one - get ready to have the song stuck in your head, too - "comfortably numb" to others in pain and less likely to help them. Two perfessers cooked up a study in which 320 college students were given violent and nonviolent video games to play. After about 20 minutes of play, they overheard a staged fight that ended with the loser suffering a sprained ankle and groaning in pain. You know where this is headed - those playing the unnamed nonviolent game rushed to aid more quickly, an average of 16 seconds, compared to those playing the unidentified violent game, who took 73 seconds to help out. Hell, maybe they were grinding away for some headshot achievement. "Ice it and elevate it, I'll be over there right after I cap this guy - another 20 times." The researchers also staged a similar event in which adult moviegoers watched violent and nonviolent movies. After a while, they staged a false emergency outside the theater. Bingo, nonviolent film goers rushed to see what was the matter faster than the violent movie buffs, by an average of 26 percent. Prof. Brad Bushman, a social psychologist at the University of Michigan who has studied and criticized violent video games before, was one of the researchers. "These studies clearly show that violent media exposure can reduce helping behavior," Bushman said. 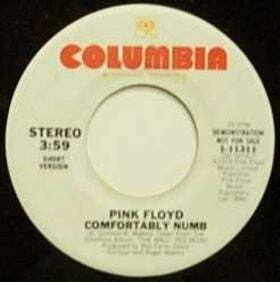 "People exposed to media violence are less helpful to others in need because they are 'comfortably numb' to the pain and suffering of others, to borrow the title of a Pink Floyd song. The study appears in the March 2009 issue of Psychological Science.